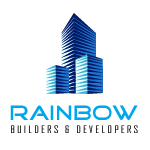 Well Experienced Team Behind Rainbow Is Capable Of Creating Marvellous Land Marks In Construction Field. From The Selection Of The Locality To The Successful Completion And Delivrery Of Projects, In Each And Every Step Rainbow Applies Utmost Care And Alertness. We Never Compromise With Quality. That Is Why Our Projects Are Reckoned As Trend Setters In This Field. Our Apartments And Villas Are Always Excel With Unique Design And Innovative Ideas. Promptness In Delivery Of Finished Projects Help Us To Create Long Lasting Relationship With Our Clients. Rainbow Builders And Developers , A Sister Concern Of Kalpaka Group, Is Following The Same Commitment And Quality Standards.